When building or remodeling a house and installing central air conditioning in it, don't assume units are the same and go with the best bargain. There are many factors to consider and none of them is more important than the size of the central air unit. For proper efficiency and operation in your 1,300 square foot house, size the central air unit to the house and the cooling needs based upon the cooler's output and not its physical dimensions. Central air conditioning size varies based on cooling requirements. The size of a central cooling unit has little to do with its physical dimensions. Instead, the size refers to British Thermal Unit it produces. 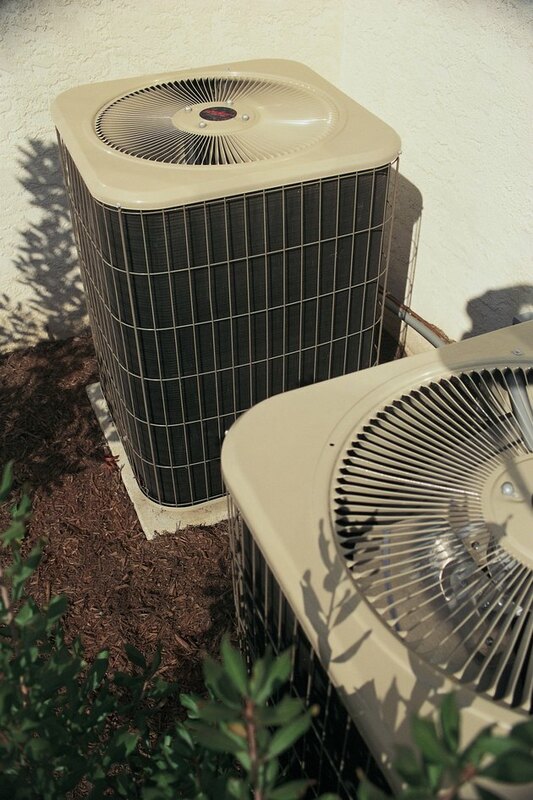 BTUs are the standard by which air conditioners and their cooling capacity are measured. The amount of energy in one BTU is the same amount needed to raise the temperature of one pound of water by one degree Fahrenheit. This energy standard is what you'll look at to determine how "big" the central unit is and what it can accomplish. When looking for the quick answer to how much air-conditioning power you'll need to adequately cool a 1,300 square foot space, the answer is 23,000 BTUs per hour of air conditioning power. According to the government's Energy Star website, this is the base capacity needed for a 1,200 to 1,400 square feet house. You should also look for a unit that has at least an 11.6 Seasonal Energy Efficiency Ratio that determines how efficient your system is in the hottest weather. Manufacturers only produce air conditioners with a SEER rating of 13 or higher today, so new units exceed this minimum requirement. The square footage in your home is not the only factor that matters when choosing a central air system. Consider other variables that could make your home tougher or easier to cool. A heavily shaded home may require 10 percent less energy to cool. On the other hand, lots of windows, little shade and a sunny climate may have the opposite effect. If a kitchen is used regularly for cooking, then it can also significantly increase the energy needs for cooling. It might seem logical to just buy the biggest thing you can afford and let it rip. But having an improperly sized central air conditioner has negative effects regardless of whether it has too much or too little capacity. Too little capacity means the air conditioner will have to run constantly to cool the house and will cause higher electric bills and potentially a home that is too warm. If the central air unit is too large it will cool too fast, run short cycles and not remove the humidity from the air, which is a significant part of the air conditioning process. How Long Should it Take to Cool Down a House With AC?